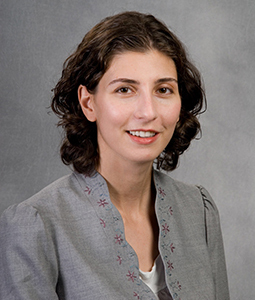 Prof. Marcia Zug has worked at the University of South Carolina School of Law since 2007. On a bulletin board next to Professor Marcia Zug’s desk hangs a necklace made of turkey spurs and beads. The chief of the Beaver Creek Indians, a local tribe, gave it to her as a thank you for the work she did to help an American Indian father retain custody of his daughter. She calls it her most prized possession, a constant reminder that her efforts as an Indian law scholar are not just about the research she conducts or the articles she writes, but the people she helps. That desire to help others is what drove Zug to apply for—and receive—a Fulbright Scholarship, the United States’ flagship academic exchange effort. Her project, Comparative Perspectives on the Protection of Indigenous Children: What America and Australia Can Learn from Each Other, is one of the first to compare America’s Indian Child Welfare Act (ICWA) to Australia’s Aboriginal Child Placement Principle (ACPP). She will complete her research during four months abroad at the University of Canberra in Australia. Over the years, the University of South Carolina School of Law professor’s work has focused on ways to increase and solidify the protections afforded Indian families. At the School of Law, she teaches Family Law, Advanced Family Law, and American Indian law, as well as an Immigration Skills Workshop. Much of her research has been on the ways U.S. law and policy affect Native American families, how existing legal protections could be made stronger and how new protections could be implemented. Now with a closer look at Australia’s process, Zug hopes to contrast the two. “Both countries’ procedures have their flaws, but it is not clear that they are the same flaws,” says Zug. Her research will focus on three aspects of both the ICWA and ACPP and their legal frame work. First, she will study the different responses to the classification of indigenous children as eligible for legal protections. She will also examine the different ways Americans and Australian advocates respond to the claim that ICWA and the ACPP sacrifice the best interests of native children. Lastly, she will note the effectiveness in government apologies; comparing Australia’s public remorse in the historic treatment of Aboriginals versus the lack of recognition America gives to its lengthy mistreatment of natives. Zug has already connected with experts on access to justice, family law, domestic women, and indigenous law in Australia, and says working with them will be key in finding the same depth of knowledge of the issues surrounding Aboriginals, as she has already obtained about Native Americans. “I am really looking forward to working with the law faculty at the University of Canberra. The scholars there are doing amazing work on indigenous rights and it’ll be really interesting to work alongside them. I plan to have a draft completed by the time I leave Australia and an article submitted for publication by the end of the 2018,” says Zug. She is also looking forward to forming close relationships with other researchers in her field, as well as universities around Australia. Zug regularly give lectures on her current work to both faculty and students in the United States, and hopes to give similar talks at the University of Canberra. She has also already been in contact with members of the Indigenous Law Center at the University of New South Wales and with faculty members at the University of Sydney, hoping to expand her reach. She credits South Carolina Law for much of her ability to become an expert herself in this field, supporting her ambitions when it comes to diversity in law research. The Fulbright Award means a six-month adventure for her family, moving across the world in pursuit of new discoveries. Zug says she hopes that this comparative research will provide her with new ideas for addressing some of the problems that continue to face native families in the United States, and expects this comparative research will influence much of her future Indian law scholarship, as well as the classes she teaches at the School of Law. This entry was posted in Faculty Notes & Scholarship on 20 July 2017 by thefineprint.